Nigel is a global leader in the fields of animal behaviour, pollination ecology and pollinator conservation. He is the Rebanks Family Chair in Pollinator Conservation at the University of Guelph, a position endowed by The W. Garfield Weston Foundation. Nigel’s work combines internationally excellent research, significant engagement with policy-makers and other conservation-relevant stakeholder groups, and teaching the world’s first pollinator conservation course. Nigel has been lucky enough to spend two decades investigating bees and their intimate relationships with flowers on three continents. Before moving to Canada in 2014, he studied at the University of Oxford, worked as a postdoctoral researcher at the University of Sheffield and Queen Mary University of London, and held his first faculty position at Royal Holloway University of London – where he is also a visiting Professor. Nigel has published 72 peer-reviewed articles, attracted over 5000 citations and achieved an H-index of 38 (see Google Scholar). He is a member of the College of New Scholars, Artists and Scientists of the Royal Society of Canada, and an elected fellow of both the Royal Entomological Society (FRES) and the Linnean Society of London (FLS). In 2014, Nigel was recognized as a World Economic Forum Young Scientist – one of 40 “outstanding researchers under the age of 40 from around the globe pioneering new fields and leading in the pursuit of answers for global impact and the common good”. For more on Nigel please see his Q&A piece for Current Biology. Alana’s current research involves investigating the impacts of global change on wild bees: specifically, how stressors interact and which play the most significant roles in affecting wild bee populations (see publications). She recently led a comprehensive review to identify, prioritize and assess evidence from the peer-reviewed and grey literature and produce a report on the Status and Trends for Pollinator Health in Ontario for the Ontario Ministry of Agricultural and Rural Affairs (OMAFRA). Alana was the 2016 recipient of the prestigious Webster Postdoctoral Fellowship in Environmental Sciences. In 2015 she coauthored a significant paper in Science on the responses of bumblebees to climate change around the world. Alana has a strong track record of fieldwork, sampling wild bees and pollinators throughout her MSc and PhD studies (“The effect of fire disturbance on bee community composition in oak savannah habitat in Southern Ontario, Canada“, supervised by Prof. Laurence Packer). She is a skilled taxonomist with expertise identifying the wild bees of Ontario and Eastern Canada, an invaluable asset to the provincial pollinator monitoring work of the Raine lab. Liz’s research investigates the interactions of landscape and pesticides on bumblebee foraging success. The aim is to ascertain the effects of pesticides on bumblebee foraging activity and discover if they are compounded by landscape type, with a particular interest in agricultural and urban environments. Liz has expertise in movement tracking and communication in the social insects from her PhD at the University of Bristol (see publications). She is using her experience to understand the patterns bumblebee foraging and dispersal on a landscape scale to find situations where pollination services and pollinator health can be maximized. She also leads the Eco-coding project at Bournemouth University using DNA barcoding of pollen grains on pollinators to investigate urban pollinator foraging networks. Ana’s research focuses on understanding the factors that shape and alter pollination interactions and their cascading effects on plant-pollinator communities. In that sense, she is interested in both the disruptive effects of global change drivers, and also in the success of conservation measures to maintain and restore such interactions. During previous work at Doñana Biological Station, Ana studied the effects of invasive plants and commercial pollinators on native pollinator communities across multiple levels of organization (from individuals to communities) and a range of spatial scales (from immediate vicinity to landscape) (see publications). Her goal now is to explore the role of different conservation measures in maintaining abundant, rich and healthy pollinator communities while providing pollination services. For that reason, Ana is especially interested in agricultural and urban systems, where several conservation measures (e.g., floral strips, artificial nests, pollinator gardens, etc.) are already applied, mainly in Europe and North America. However, evidence about the efficacy of these conservation measures is still lacking as well as about the implications for pollinator health, behaviour and evolution of attracting them to human altered ecosystems. Rachel returned to the University of Guelph in 2018 to help manage research funding accounts for the Raine Lab, and the lab of Professor Evan Fraser (Department of Geography) and his Feeding 9 Billion research. She holds a BSc in Wildlife Biology from the University of Guelph, and an MI in Library & Information Science from the University of Toronto. In between degrees, she developed an affinity for research administration, and she is excited to be back helping labs that are carrying out such important research. Susan is presently pursuing her Ph.D., studying the agro-ecology of the native squash bee (Peponapis pruinosa) in Ontario, with special emphasis on the effects of common agricultural practices (including pesticide exposure) on the health of squash bee populations. She works extensively on farms to implement on-the-ground projects that support native pollinators. Susan has an academic background in agriculture, education, and pollination biology and is the author of A Landowner’s Guide to Conserving Native Pollinators in Ontario, is the recipient of the 2016-17 George and Lois Whetham Scholarship in Food Systems. Concurrently with her studies, Susan manages the Native Pollinator Program for Farms at Work, a not-for profit project in central Ontario. She lectures in the Sustainable Agriculture programs at both Trent University and Fleming College, and is the proud owner of Ten for Joy, a property in Selwyn, Ontario dedicated to conservation agriculture. Aaron’s current research interests lie in investigating the sublethal effects of neonicotinoid pesticides on bee and ant behaviour. His goal is to explore eusocial insect behaviour including colony establishment, foraging, and interspecific interactions, as well contribute to the body of literature on a class of insecticides whose potential effects on non-target organisms are of current concern. Aaron’s expertise is in ecology, entomology, and taxonomy. 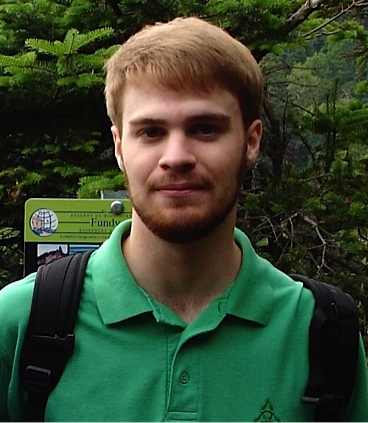 He completed his BSc in Environmental Biology and his MSc “How is ant diversity impacted by anthropogenic disturbance” (supervised by Prof. Alex Smith) both at the University of Guelph. Aaron has received New Brunswick Wildlife Trust Fund support from 2014-2017, and recently created a species list of the ants of New Brunswick using his eight years of field collections at the New Brunswick Museum. Aaron loves to share his enthusiasm for entomology, leading educational hikes on ants and pollinators, and was interviewed for the “Every Living Thing: experiencing a Bioblitz documentary”. Kiera is a PhD candidate exploring the behavioural and biological responses of pollinators to various environmental stressors and the conservation strategies needed to ensure healthy future populations. Her work will assess current nesting and foraging resources of wild bees and monarch butterflies and the impact of anthropogenic influences on those resources. Kiera will also be studying the intersection between monarch conservation practices and the impact of massive floral plantings on wild bee populations. Her research goals aim to inform conservation planning for productive agricultural systems and biodiverse natural ecosystems. Kyra is particularly interested in researching how agro-ecosystem management impacts native pollinator communities, and how best to conserve biodiversity and pollination services in agricultural landscapes. Her PhD research is co-supervised by Profs. Ralph Martin (Department of Plant Agriculture) and Nigel Raine (School of Environmental Sciences), and she holds a Queen Elizabeth II Graduate Scholarship in Science & Technology and a University of Guelph Graduate Entrance Excellence Scholarship. Previously, Kyra completed a BSc in Agricultural Science at the University of Guelph and a BA in English at McGill University. Kayla is working on an MSc thesis, studying interactive effects of pesticides on the life cycle of bumblebees. She is particularly interested in expanding current end-point assessments of pesticide toxicity to bumblebees and has a host of broader interests including pollinator ecology, interactive stressors in the environment, integrative pest management and agri-environment schemes. Sabrina’s PhD research focuses on the potential interactions between various environmental stressorsthat threaten bee populations. More precisely, her work aims to investigate how pesticide exposure can affect different aspects of bumblebee biology and ecology in different landscapes. She will also explore how diet quality affects the susceptibility of bumblebees to adverse effects of pesticide exposure at field-realistic levels and/or pathogen infection. Sabrina previously studied the biocontrol of varroa mites in honey bees during her master’s thesis under the supervision of Valérie Fournier and Pierre Giovenazzo at the Université Laval (Quebec). Her diverse background also includes eco-food project management, teaching, honey bee research and work within the beekeeping network of the Ministry of Agriculture, Fisheries and Food of Quebec (MAPAQ) on honeybee pathogens. Concurrently with her studies, Sabrina has the honour to join the Arrell Food Institute as an Arrell Scholar, with the unique opportunity to provide leadership within multi-disciplinary teams of graduate students to address global food issues.She is also the recipient of a 3rdcycle Fonds de recherche du Québec – Nature et technologies (FRQNT) Scholarship. Harry is interested in the behavioural aspects of insect-plant interactions, particularly as it relates to bees and pollination systems. His MSc research involves assessing individual and colony variation in learning and memory performance, and responses to novelty in the bumblebee Bombus impatiens, with the ultimate goal of clarifying the relationship between these cognitive traits and fitness under natural conditions. Harry is also investigating cognitive differences between wild and commercially bred bumblebees. He is the recipient of a 2016-17 Ontario Graduate Scholarship award. Claire is in the second year of the Environmental Sciences MSc program, where she is focusing on wild bee conservation. Her research examines potential long-term changes in both wild bee communities and plant-pollinator interaction networks across a number of sites in the Caledon region of Ontario. Claire is also heavily involved in the wider lab project monitoring wild pollinator populations at sites across Ontario. Ellen is an entomologist enthusiast doing her master’s in the Raine lab. She is compiling a complete and accurate database of Ontario bees for the Barcode of Life Database. Ellen will also be determining likely pollinators from other insect flower visitors (wasp, flies and beetles) in Southern Ontario. Her master’s is co-supervised by Dr. Dirk Steinke from the Biodiversity Institute of Ontario. Her previous involvements in the lab include, working on the Ontario wild pollinator monitoring project and sampling flower visitors in orchards and horticulture crops (with Dr. Hannah Fraser, OMAFRA). 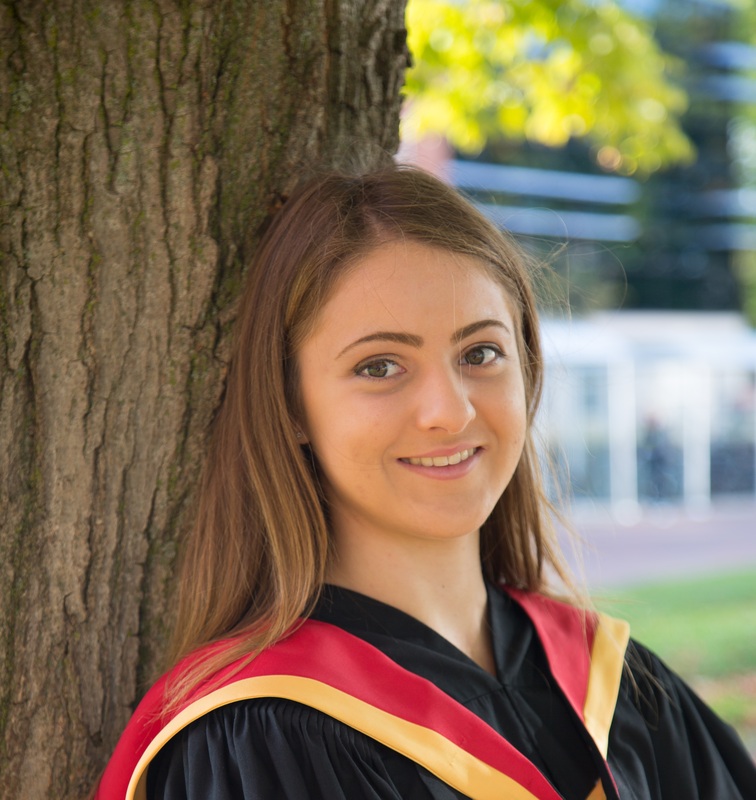 Leah is an MSc candidate with Prof. Raine in the School of Environmental Sciences. Her research focuses on supporting pollinator populations and improving crop production by integrating native pollinator habitat and foraging sites into farmland. Leah has the honour of holding a research assistantship in the flagship year of the Food from Thought research program through the Arrell Food Institute at the University of Guelph, and she is also the recipient of a Graduate Excellence Entrance Scholarship from the University. Since completing her B.Sc. in Biology at the University of Waterloo, Leah has worked in a variety of environmentally focused roles. Her diverse background includes biodiversity research in Central America and Mexico, invasive species and species-at-risk research in Ontario, and mine site remediation planning in the Northwest Territories. Emily rejoined the lab in January 2018 to start her MSc project examining the impacts of anthropogenic and environmental changes on Pennsylvania bee communities over the last century, in collaboration with Dennis VanEngelsdorp. In 2017 Emily graduated from the BSc in Wildlife Biology and Conservation, with a minor in Geographical Information Systems, at Guelph. She has been heavily involved in the comprehensive Ontario wild pollinator monitoring project since first joining the team as a work studies student in January 2016, and has also completed an an independent research project assessing the effects of land use changes on population dynamics of wild bee communities in Caledon county as part of her undergraduate studies. Janean is a MSc candidate in the School of Environmental Sciences at the University of Guelph. She is especially interested in the biodiversity, conservation, behaviour and ecology of native bees. During her graduate research she will investigate the movement of native bee species in Ontario on a landscape scale using innovative tracking techniques. She graduated from Trent University with a BSc degree in Biology with an emphasis in Conservation Biology after completing her honours thesis using laboratory and field trials to study tallgrass prairie restoration success. She has over 10 years of experience conducting biological research and has pursued practical applications of conservation and community ecology for both private and public sectors, primarily working in B.C., where she was a Registered Professional Biologist with the College of Applied Biology, as well as in Alberta, Ontario, New Brunswick and Washington State. Much of her work has involved species at risk, biodiversity monitoring, habitat restoration and research in disturbed habitats. Hayley is in the first year of her MSc project in the Raine Lab. Her research, in collaboration with Wildlife Preservation Canada (WPC), focuses on the use of artificial nest boxes to study nesting habits and colony development of wild bumblebees. Artificial nest boxes will be installed and monitored at sites historically or currently occupied by species at-risk, to determine the efficacy of artificial nest boxes as a conservation and monitoring tool. In 2017, Hayley served as the Field Biologist in Ontario for WPC’s Native Pollinator Initiative, and was selected as a LoyaltyOne Young Conservation Leader. She holds a Bachelor’s degree in Geography with a minor in GIS and Environmental Analysis from the University of Guelph, and is a graduate of Seneca College’s Environmental Technician – Sampling and Monitoring program. Hayley is a passionate field biologist, and enjoys studying bumblebees and other pollinators. In the off-season, Hayley works as a part-time faculty member at Seneca College, to share her passion for pollinator conservation with her students. Sage is a BSc student in the Environmental Science (Co-op program) Ecology major working as a team member of the lab Ontario wild pollinator monitoring project. She has also been sampling flower visitors on crops, including soy beans. Sarah is a BSc student in the Environmental Science (Co-op program), majoring in ecology. She has completed four co-op terms related to how agricultural practices impact the environment including soil, water and the atmosphere. Sarah is conducting an independent research project course to investigate the potential effects of neonicotinoid exposure on bumblebee (Bombus impatiens) flower choices. Her research interests are how multiple stressors in agricultural settings impact bumblebee population dynamics and pollination services. Eden is a BSc student in the Environmental Biology major and is working on an independent research project to investigate wild bee abundance and diversity in raspberry crops in southern Ontario. Previously, she has worked on wild pollinator monitoring projects in horticulture crops with Hannah Fraser (OMAFRA). Amanda is a BSc student in the Environmental Science, majoring in ecology. She joined the team as a work studies student and is working on the lab Ontario wild pollinator monitoring project. Sisley is a BSc student in the Wildlife Biology and Conservation major. She is funded by an NSERC Undergraduate Student Research Award (USRA) and will be working alongside members of this lab on a project using automatic radio tracking of pollinator movements at a landscape scale.